Okay, a few things before we start this in a couple days. 1. 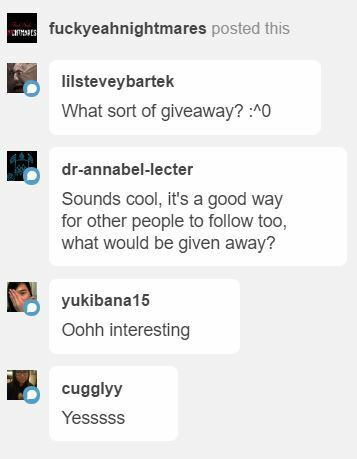 I have never done a giveaway before so if anyone has any advice, lemme know. 2. I am not a rich man and therefore the gift won’t be extravagant. 4. This will begin in maybe two or three days. I’m in the middle of finals right now (I know it’s early, my uni’s weird, but +1000 cool points to whoever can guess what school I go to) but I’ll try to respond quickly should you hit me up.